Fed a steady diet of commerce from many of the Midwest’s major cities, Indianapolis is fertile ground for businesses of all sizes. And with Valpak of Indianapolis behind you, your business can capture much more of its potential. Our shared direct mailing makes it affordable for any business to reach hundreds of thousands of qualified households in the Greater Indianapolis area. And because so much of the shopping experience now starts with an online search, Valpak has established itself as a leader in online marketing. Bolster your web presence with a BPP (business profile page) on valpak.com. We’re also Google AdWord Certified, meaning we will use the best keywords and other search engine optimization strategies to draw online shoppers and browsers to your business. Track your return on investment with greater clarity using Valpak’s exclusive performance tracking tools. Get daily, weekly and monthly reports on the health and specifics of your print and digital marketing campaigns. Accurately measure engagement with your marketing materials in Plainfield, Greenwood, Danville and surrounding cities with detailed proof of performance on a monthly basis. Valpak of Indianapolis works for most types of businesses, including restaurants, automotive, home improvement, health and wellness, medical, entertainment, travel, professional services and many more. We can put you into 400,000 pre-qualified households in Indianapolis, Fishers, Carmel, Noblesville, Zionsville, Brownsburg, Avon and many more. For specific dates and coverage, contact your Valpak of Indianapolis representative. 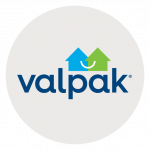 Valpak of Indianapolis is an independently owned Valpak franchise.